Yokohama, the second largest city of Japan, is an exciting city and known for its futuristic port, Chinatown and relaxed atmosphere. 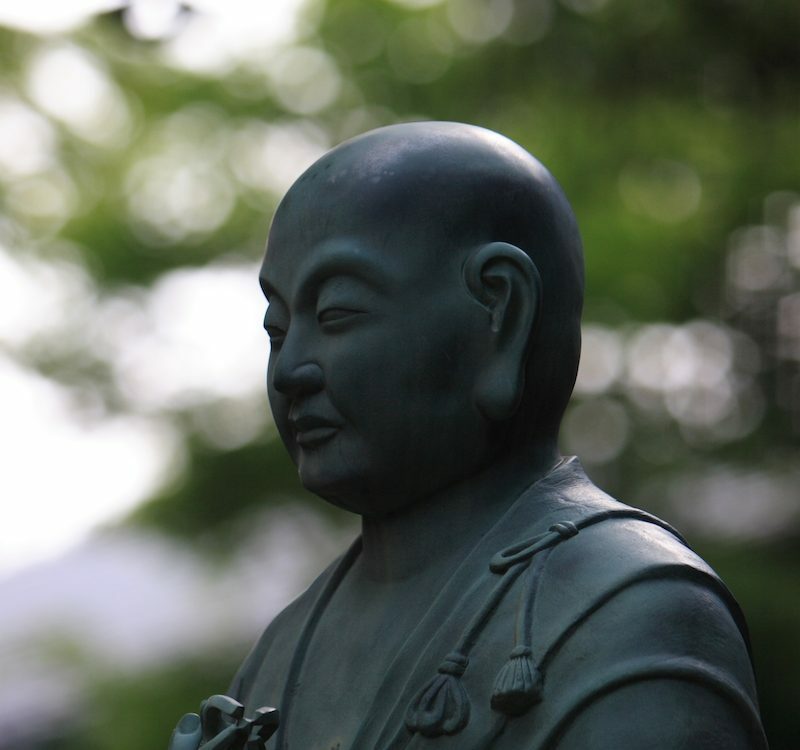 Easily accessible from Tokyo, Yokohama is a fun getaway from the hustle and bustle from the capital. 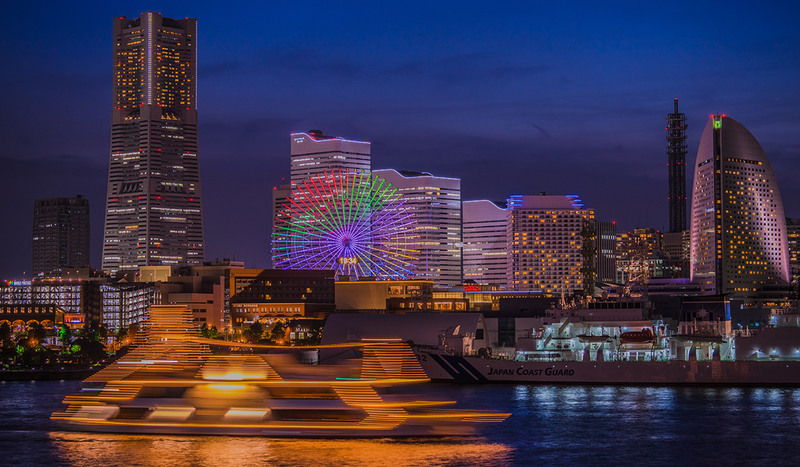 There are many things to do in Yokohama and if you follow our 48 hour budget itinerary you’ll discover why Yokohama (literally “Horizontal Beach”) is beloved by locals and visitors alike. 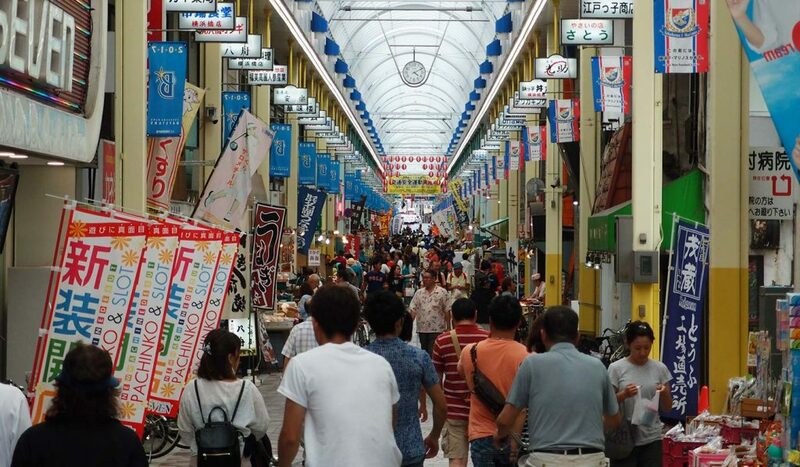 Yokohama has many Shotengai, or shopping street, where you can find everything you need in one place. 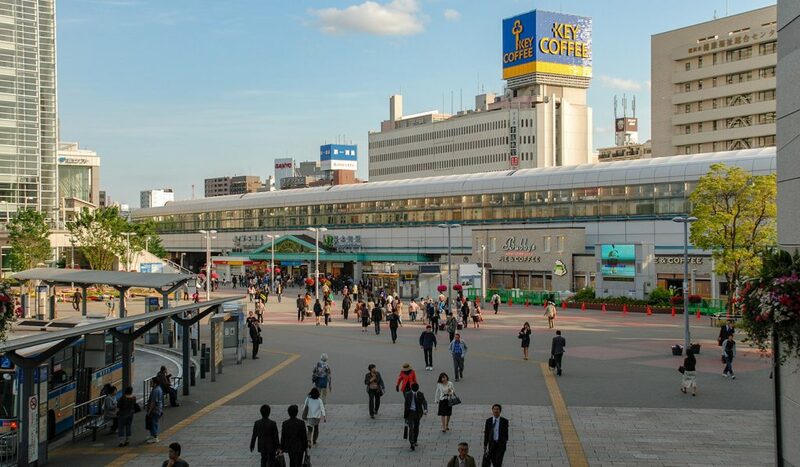 You’ll find shops selling a wide range of products such as daily wares, fresh produce, fish, household items, everything a Japanese household needs daily. And food, you can always find lots of restaurants and stalls selling food for a very reasonable price. Many shops and stalls here at Bashi Shotengai sell food on the go, and especially in the morning when the shops open for business, you can find freshly baked goods like Imagawayaki (Japanese style pancake with different kinds of fillings) or teriyaki-glazed meat skewers. For a healthy meal, try fresh sushi or a sashimi donburi bento (fresh slices of raw fish served over rice) or eat ramen at one of the many ramen shops. Bashi Shotengai is a great place to find cheap breakfast to start your day. Tip: If you arrive at JR Yokohama Station, don’t forget to grab a free tourist map from the main tourist office. The Nissin Cup Noodles are famous around the world and sold virtually anywhere. 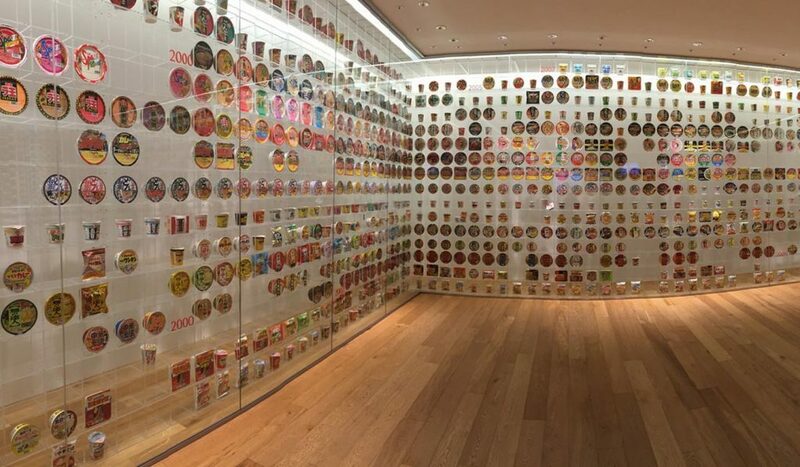 If you visit Yokohama, a visit to the Cup Noodles Museum is one of the definite things to do in Yokohama. Located near the waterfront, this museum exhibits the history of Cup Noodles and the inventor of instant ramen noodles, Momofuku Ando. One of the highlights is the My Cupnoodles Factory, where visitors can create their own cup noodles. On the upper floor of the museum you can find the Cupnoodles Park, a food court modeled like an Asian night market, where you can eat noodles from around the world. 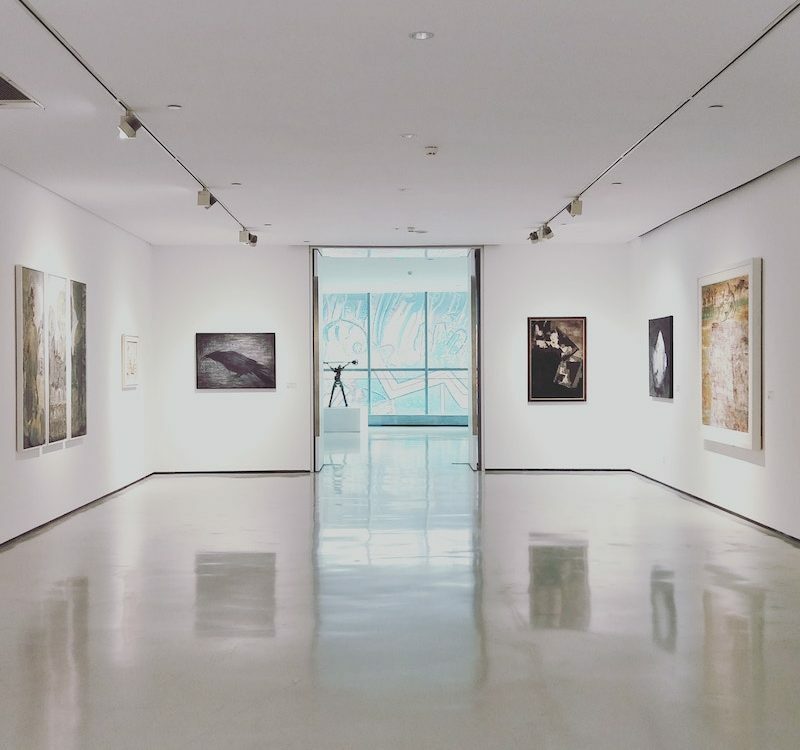 The museum is also a perfect place if you have kids as many of the activities are kid friendly. After you’ve worked up an appetite learning about instant ramen, head over to Gyokusentei near Chinatown for lunch. This simple restaurant serving Chinese style food has been in business since 1918. One of the recommended dishes you simply have to try is “Sanma-men”, the famous Yokohama noodles originating from the Yokohama Chinatown. 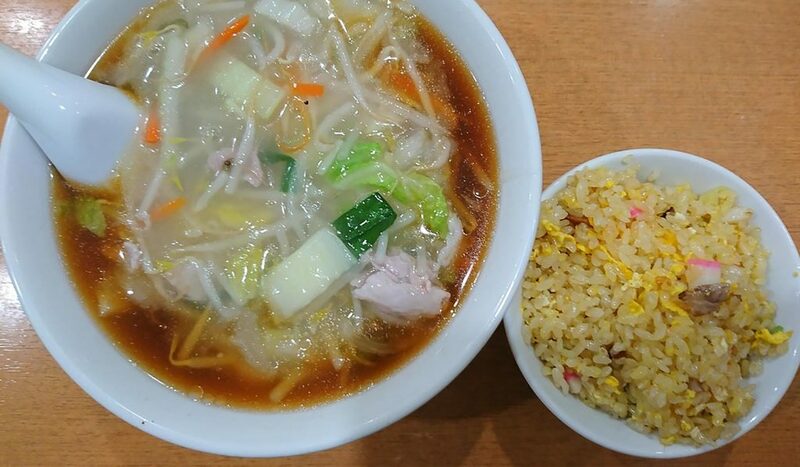 Different from regular ramen, the noodles are served in a broth that is almost sauce like, topped with stir-fried vegetables and beansprouts that have a crunchy bite to it. It’s a great dish to try and a perfect example of a Chinese dish blended with Japanese flavors. 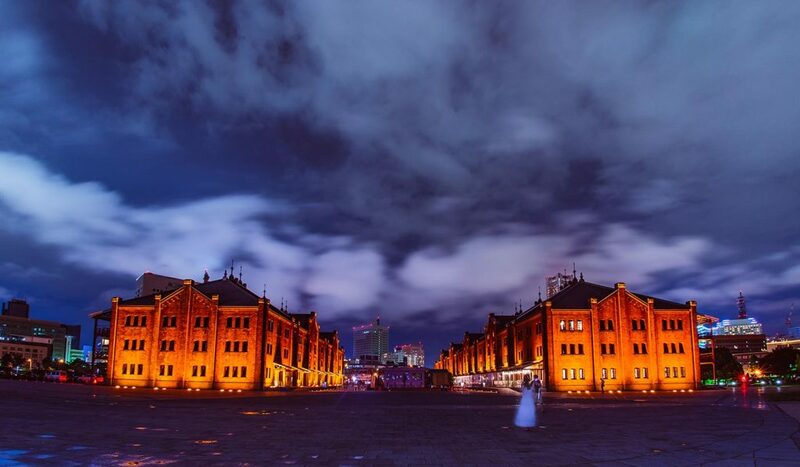 One of the many things to do in Yokohama is visiting the Akarenga Soko, also known as the Red Brick Warehouses, which are found near the waterfront. When the port of Yokohama opened, it was one of the first ports to open to foreign trade and a there was a need for wares to be stored, thus Warehouse No. 1 and No. 2 were constructed. Although almost destroyed during the Great Kanto Earthquake in 1923, rebuilt and eventually and left dilapidated in later years, a project was set up to preserve the two buildings made out of the iconic red bricks. And in 2010 received the UNESCO Asia-Pacific Heritage Award for Culture Heritage Conservation. Nowadays the warehouse houses many trendy shops and boutiques as well as cozy cafes and restaurants. There are often exhibitions in the event hall, as well as live concert. The two buildings ooze ambiance and if you look around, you can discover many remnants of its history. Before you explore and get lost in one of the biggest, and we can certainly say “most impressive”, Chinatowns in the world, sit down for a casual dinner at Shumien. 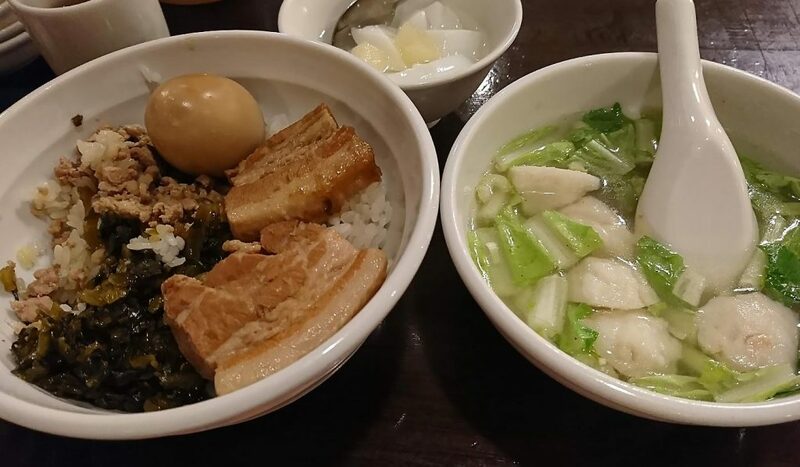 This newly renovated restaurant specializes in Taiwanese and Cantonese cuisine and the most popular dish on the menu is “Lu Ro Fan” (Minced Pork Rice). Also try the “House Special Crispy Duck”, succulent duck meat with a roasted-to-perfection crispy skin. Some of the restaurants in Chinatown are known to be tourist traps with over-expensive prices, Shumien served great dishes for an even greater price. 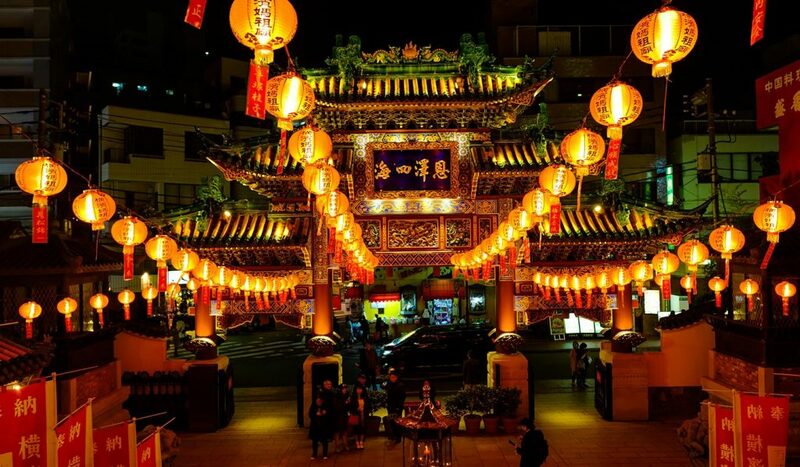 With a history of over 150 years long, Yokohama Chinatown is the biggest Chinatown in Asia and one of the biggest in the world. Many Chinese immigrants from Guangzhou province came here when the port of Yokohama opened in 1859 and eventually formed settlements. 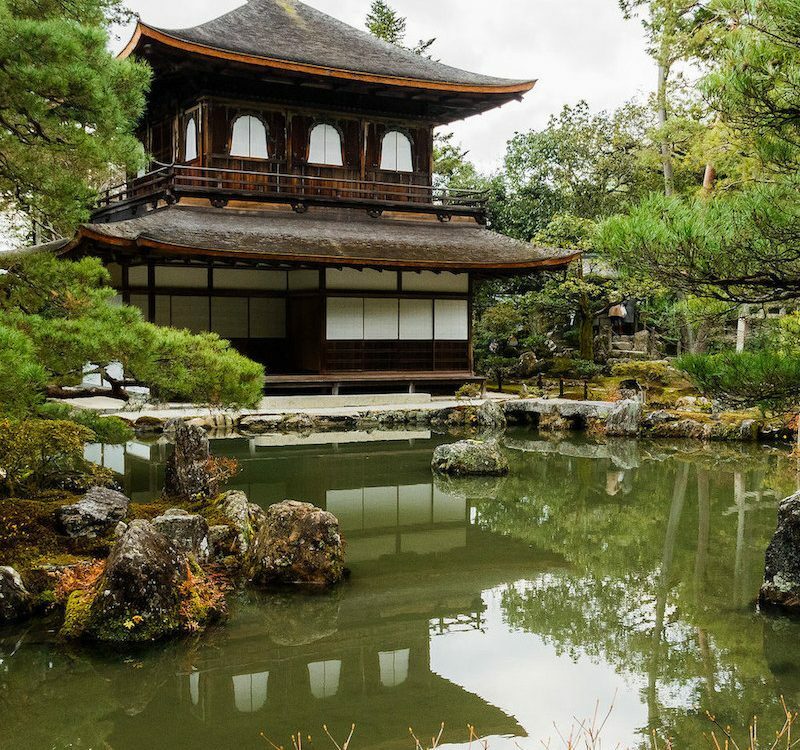 Despite the many setbacks throughout history, the area prospered and grew into the most recognized Chinatowns in Japan. As soon as you arrive, you are welcomed by the impressive goodwill gate, marking the entrance. Of all the things to do in Yokohama, a visit to Chinatown is usually at the top of any itinerary. And for good reason. The area is bustling with people and it’s hard not to be attracted to the wonderful sights and smells of this lively neighborhood. Shops and stalls selling all kinds of delicacies from all over China, roasted chestnuts, colorful trinkets and kitsch souvenirs of every kind will catch your eye. Don’t just wander around the main streets, the streets around it are equally worth exploring and who know what novelties you will find. And if you’re feet have become wary after a day of walking around, go up to the 3rd floor of Yokohama Harukan, a popular souvenir shop, to find the Garden Terrace Cafe where you can soak your feet in a foot bath for just 100 yen (plus the cost of at least one drink). 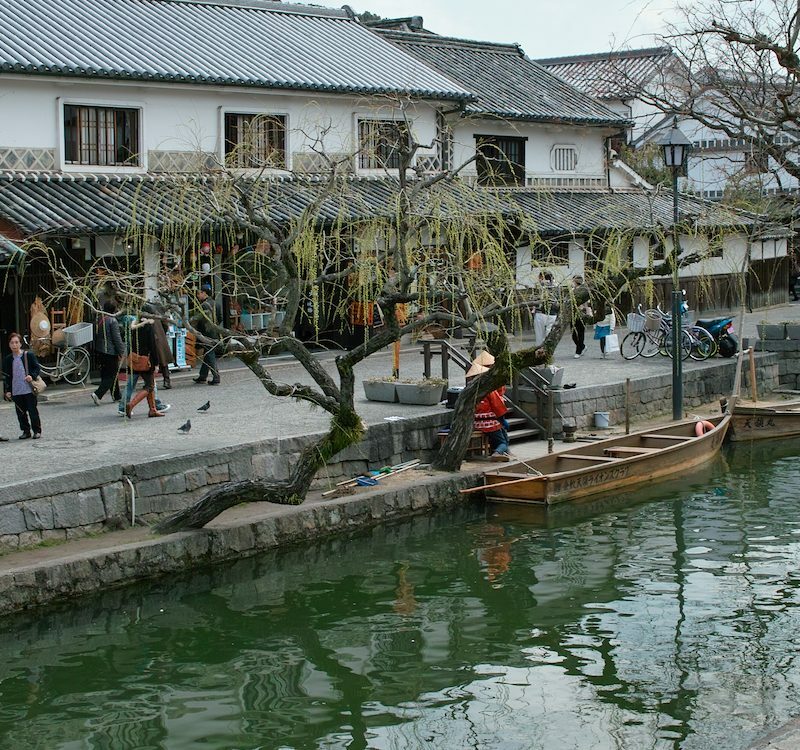 From Chinatown, take the Negishi train line at Ishikawacho Station and get off at Sakuragicho, from there it’s only a couple minutes by foot till you reach Noge Tabemono Yokocho. An alley lined with traditional style bars and eateries that come alive during the late night. Most bars here can only fit a handful of people, and many people will therefore stand while drinking which is called “tachi-nomi”. If you’re still hungry and craving for some late night binging, don’t worry, many places are still open served snacks and meals. 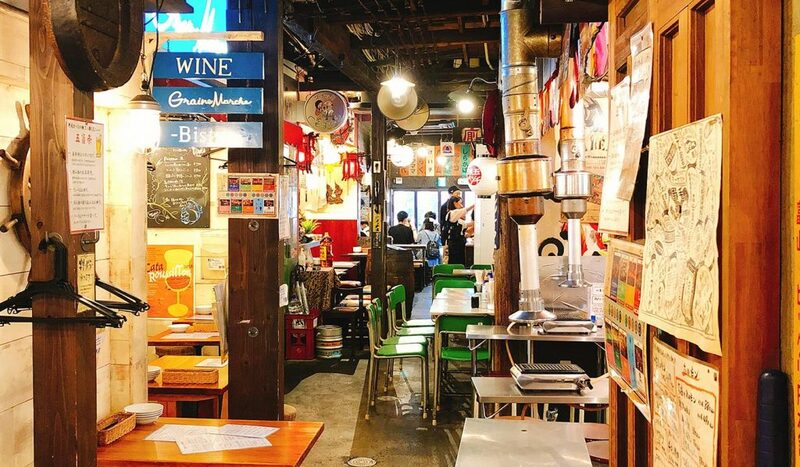 If you’re looking for a great way to finish your night, grab a beer (or some sake) in one of the many cheap watering holes that don’t close until the early in the morning. The Noge area is one of those areas in Yokohama that hasn’t changed much since the Showa era 40-50 years ago. In Noge Daido-gei, you can still find many old shops and izakaya (Japanese style pub). It’s a great place to find a no-fuss cheap meal and if you’re lucky, you might catch one of the many festivals that the area is famous for. 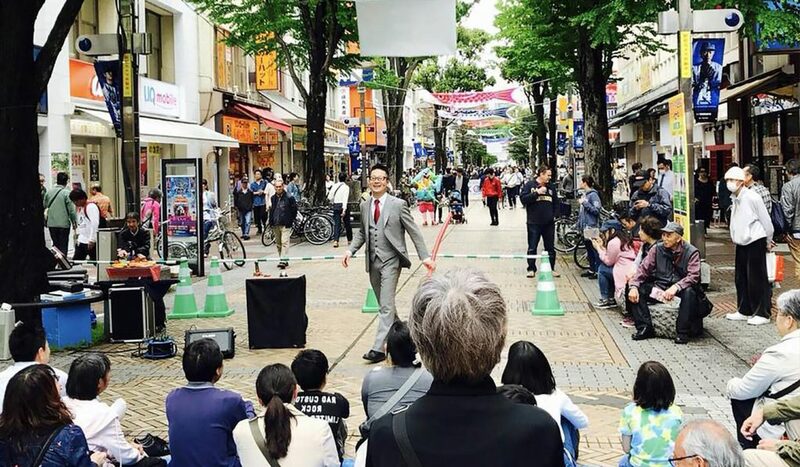 Street performances with music, juggling and acrobatics etc. attract many crowds and are one of the best street performance festivals throughout the country. Grab some food on the go and enjoy yourself in this lively area. Within a short walking distance you’ll find Nogeyama Zoo. Although small in size compared to other zoos, you can find over 100 species of animals. Camels, penguins, giraffes and even tigers can be seen. The unique feature of this zoo is that visitors are allowed to interact and pet many of the smaller animals (note: no feeding). Especially popular with kids is the “Nakayoshi Hirobe” where small creatures like guinea pigs and mice can be picked up and petted. 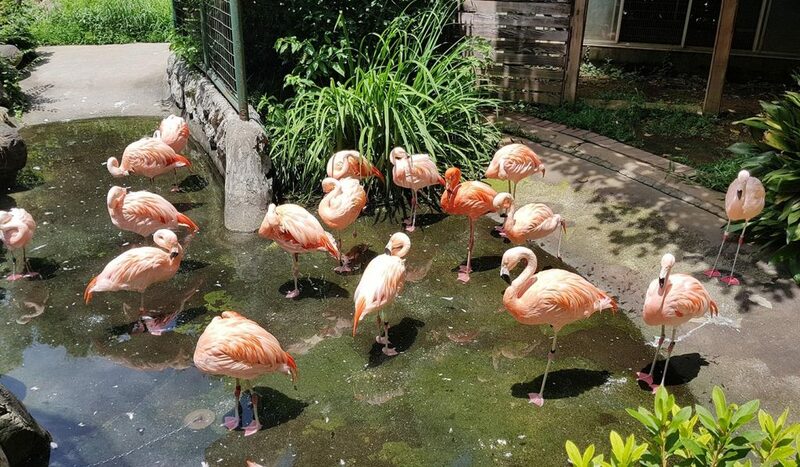 If you have a soft spot for animals, the Nogeyama Zoo is great activity to do during the noon or to take a break from the city as you can find lots of green areas within the zoo. 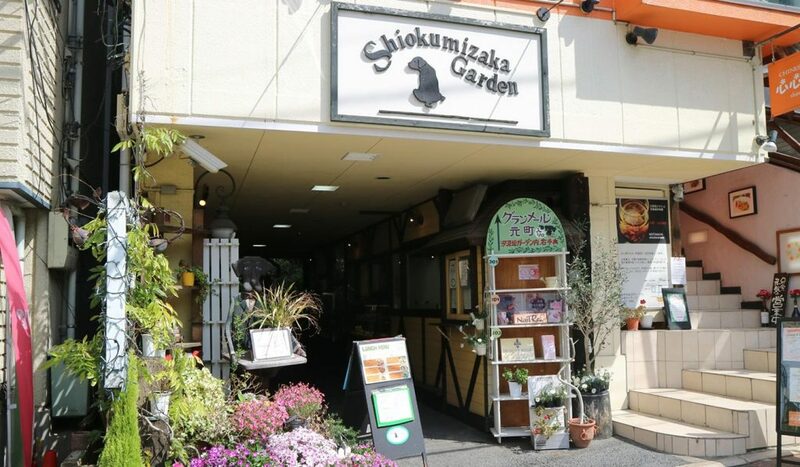 Close to Ishikawacho Station, Shiokumizakaden welcomes customers to enjoy a meal in a charming garden setting. The restaurant serves coffee and tea with home-made cakes, soups and salads. But we recommend you to try one of the baked casserole-like rice dishes. If the weather outside is too cold, the restaurant also has an inside area which is the perfect hangout to enjoy one of their comforting meals. If you’ve seen any of Studio Ghibli’s movies, one of the things that always stands out is how believable the locations and sceneries are with many small details going into each design. The 2011 movie “From Up on Poppy Hill” set in 1964 Yokohama, features many places that can still be found today in Yokohama. 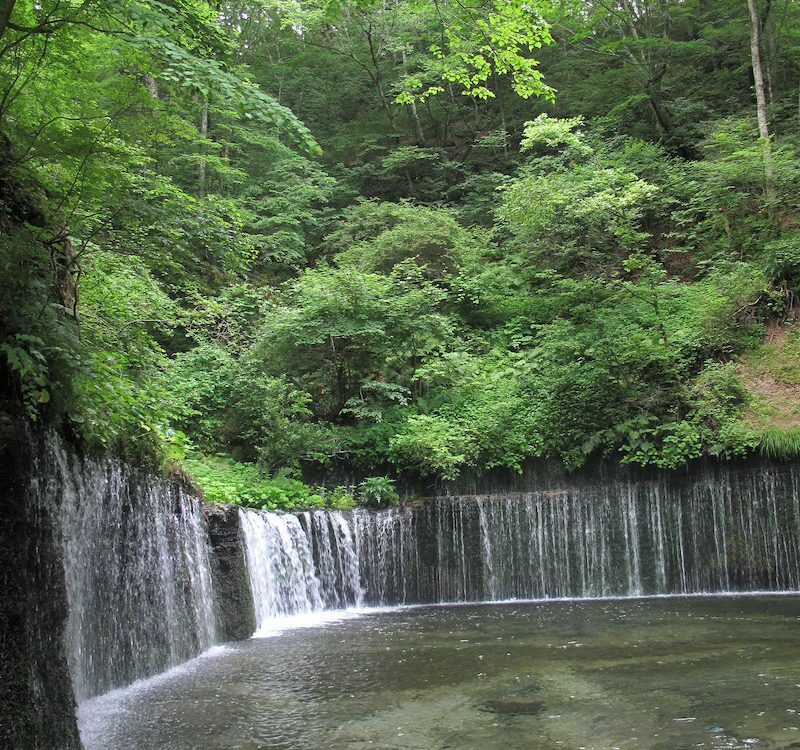 And it is said that Daikanzaka Hill was used as a model for many of the scenes found in the movie. If you walk along this quaint neighborhood dotted with English style lawns and gardens, you can spot many buildings and cute little shops that seem plucked straight from the movie. Enokitei is a bakery that sells a variety of freshly baked good every day. If you walk up the slope, you will come across Miyazaki Florist, used as a model flower shop for the movie. By the way, the name “Miyazaki” is just pure coincidence as it has nothing to do with Studio Ghibli’s legendary animator Hayao Miyazaki as the flower shop was opened in 1873. 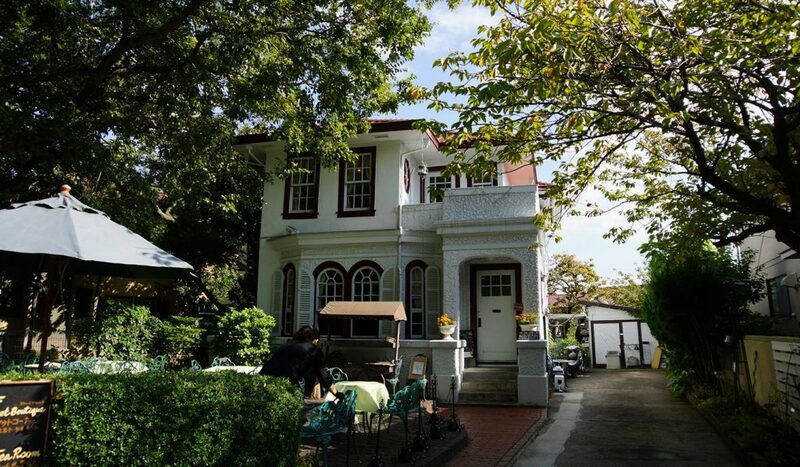 For more wonderfully designed European style houses, walk up Omarudanizaka to find Bluff 18 Ban-Kan and the Diplomat’s House which you can take a look inside. 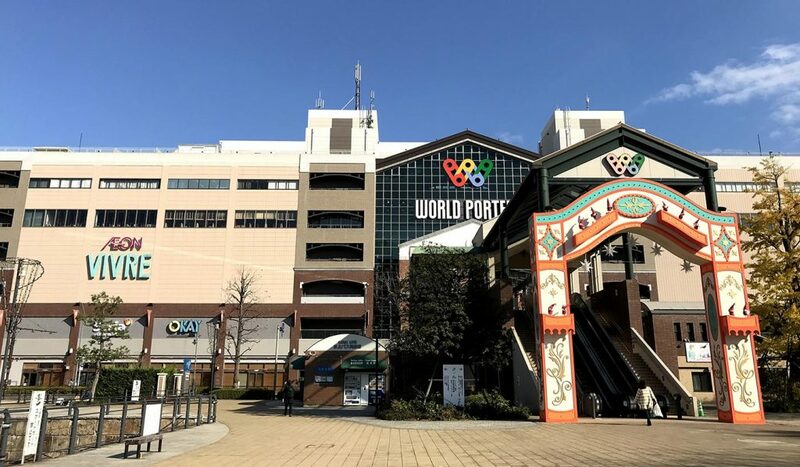 This 100,354 square meters shopping mall complex is one of the biggest malls in Yokohama with approximately 200 shops and restaurants over 8 floors. Here you can find meals in every price category and there is a lot to choose from. Restaurants can be found of the first, 2nd and 6th floor. But particularly interesting is the Hawaiian-themed food court that can be found on the first floor symbolizing the longstanding relation between Yokohama and Hawaii. 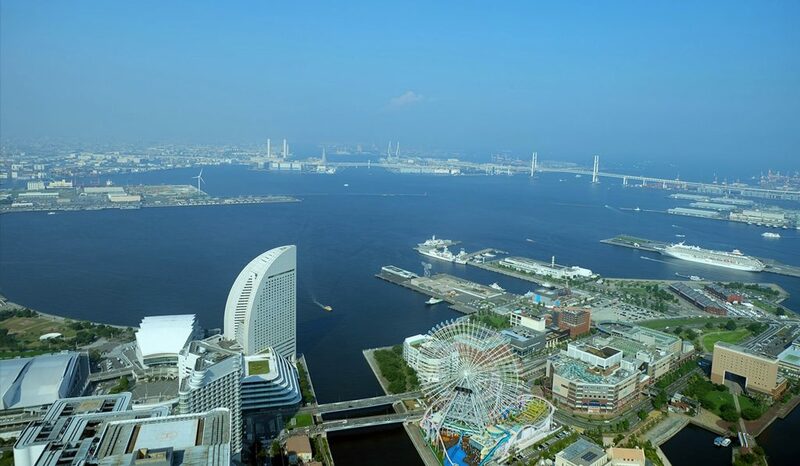 Minato Mirai 21, as it’s formally known, is one of the most recognizable sea-side cityscapes in Japan. This futuristic side of the port is at its most impressive at night when the night lights go on creating one of the most attractive waterfronts. Walk around the many wooden decks and marvel at the Cosmo Clock 21, which was the tallest ferris wheel in the world when it opened. Equally impressive is the Landmark Tower, the 3rd tallest tower in Japan and one of the icons of Yokohama. If you walk over to Osanbashi pier, you’ll get a nice overview of the city’s high-rise buildings and the Cosmo Clock 21. 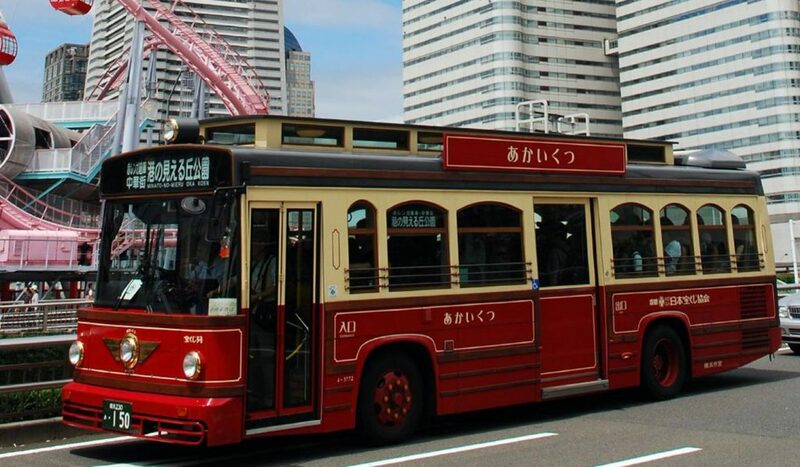 As with any big city in Japan, Yokohama enjoys a fast and convenient transportation system. The main station is JR Yokohama Station near the bay and is within walking distance to the Minato Mirai area. 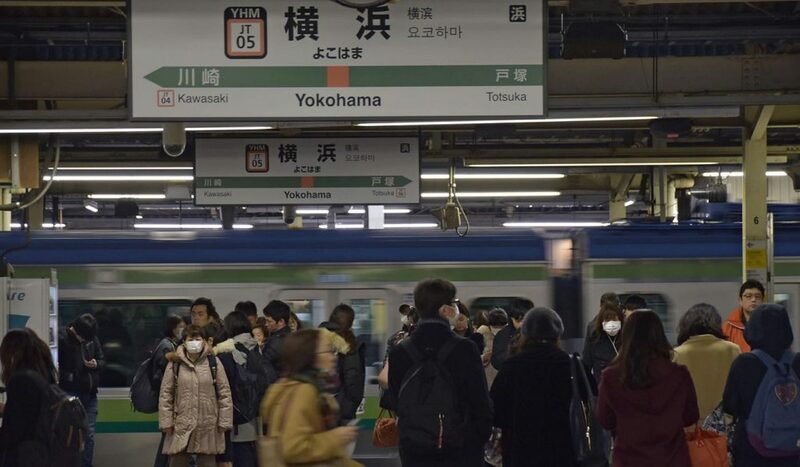 Compared to Tokyo, there are far fewer train and subway lines and if you only rely on trains, chances are you might need to walk quite a distance to get to where you need to go. Thankfully the Yokohama Municipal bus system is easy to use and understand and can get you to most tourist destination within the city. Because there are many things to do in Yokohama, it is recommended to get a day pass since you’ll be traveling around the city many times. *Note: an extra fee is charged when traveling using the late night busses. 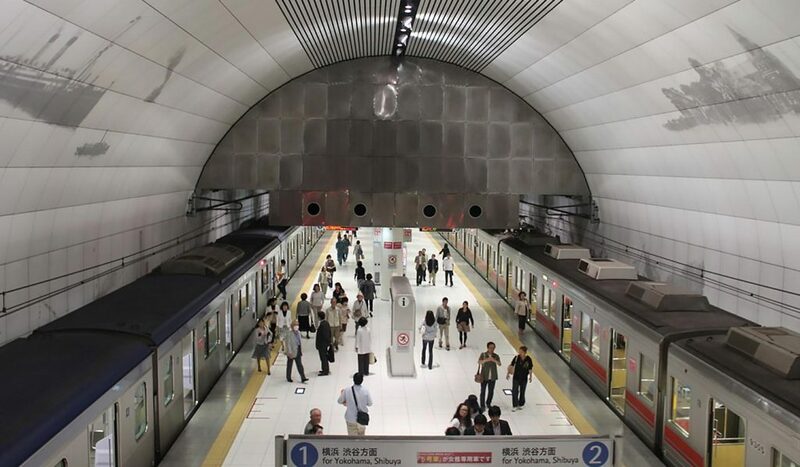 Unlimited use for one day for Yokohama Municipal Subways. Unlimited use for one day on all municipal busses and subways including the Akai Kutsu Sightseeing bus and Burari-Kanko San Rosen. 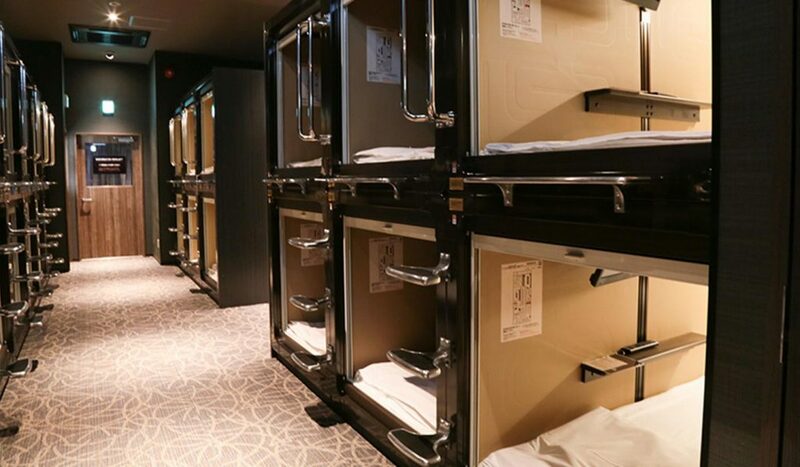 Located along the Ooka river, Gran Customa Isezakicho a very modern and clean looking capsule hotel with a slew of amenities and services. All capsules are comfortable and spacious and are equipped with air-conditioner and TV. Amenities include slippers, free toiletries and hairdryer. Free wifi is available and there is a manga library with shelves filled to the brim with manga that you can read for free. There even is a public bath area where customers can soak and relax. And if you feel hungry, you can also find a restaurant on-site. Price: starting from 2,500 yen p.p. 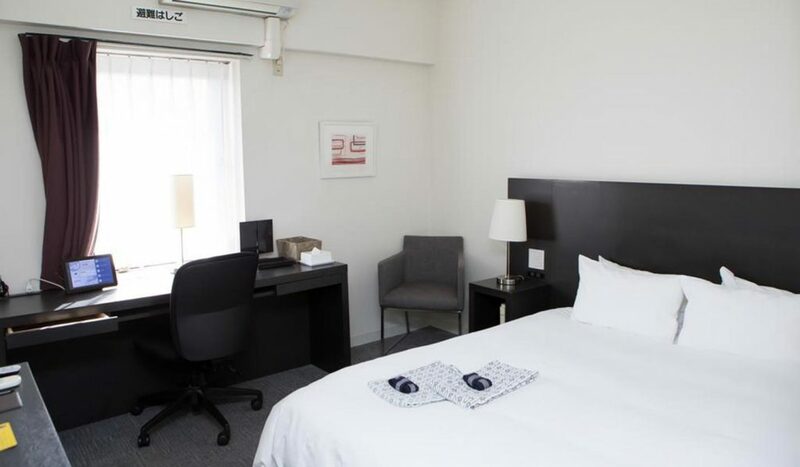 If you’re looking for a budget hotel, look no further than Best Western Yokohama. The room aren’t the most spacious, but the beds are comfortable and most importantly everything is clean. All rooms come standard with a TV, air conditioner and a bath tub. The hotel has a cafe offering Western style meals or if you want to eat out, the hotel is located in an area with many restaurants. Free wifi is available. Price: starting from 5,500 yen p.p. 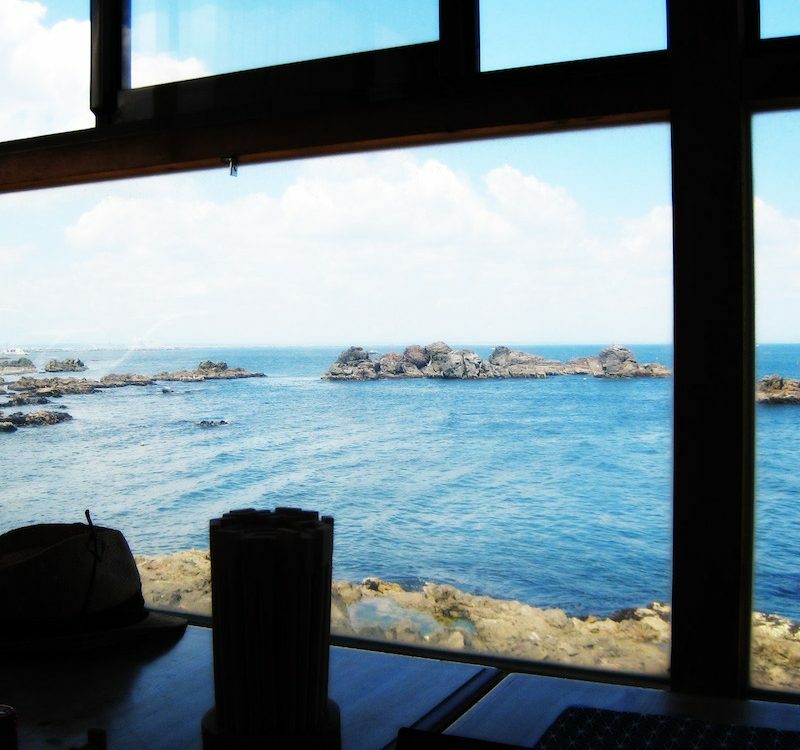 If you want to discover more amazing destinations in Japan, check out our travel articles. 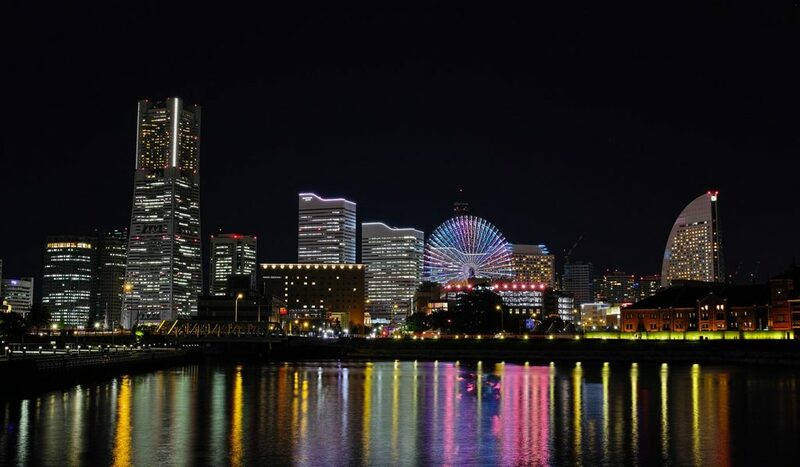 Have you been to Yokohama? Join our Facebook Group and share your experience with us. Also, don’t forget to follow us on Facebook, Instagram, and Pinterest. Have a great time in Yokohama!